Don’t let the words “Take Out” make you think we’re talking about fast food. Our options for take out/picnic food/sunset at Menemsha food are as varied as our towns and our topography, and only limited by the imaginations of our Island cooks, which are legendarily unlimited. From never-miss Gio’s Pizza in Oak Bluffs to sushi at the Net Result in Vineyard Haven, or the local favorite: Lobster from Larsen’s on the beach in Menemsha, find food to go to all our best spots. 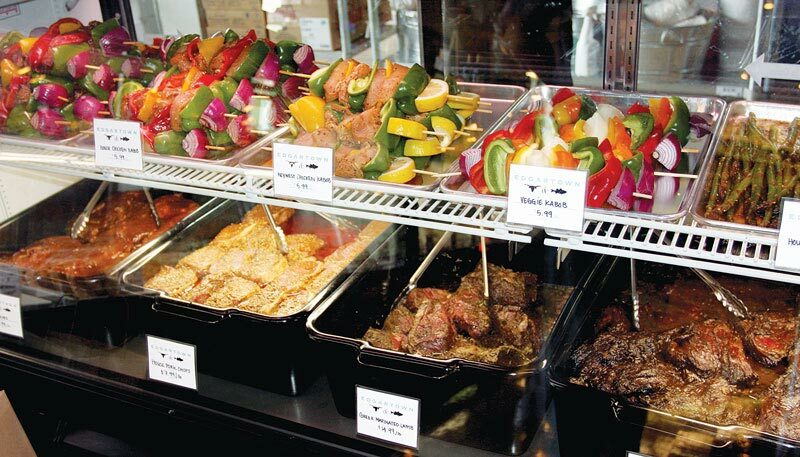 A breakfast, lunch, and dinner take-out restaurant on Martha’s Vineyard serving traditional Brazilian fare. 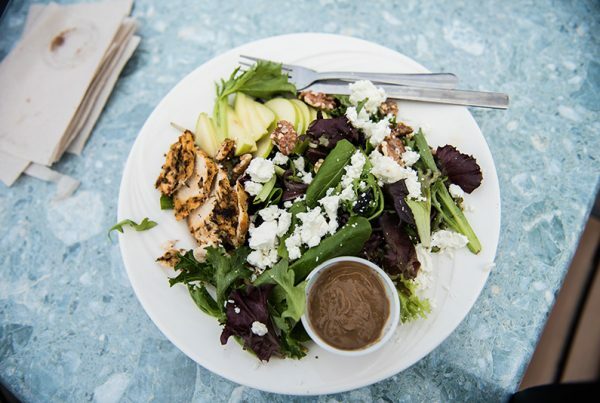 A breakfast, lunch, and dinner take-out restaurant on Martha’s Vineyard. 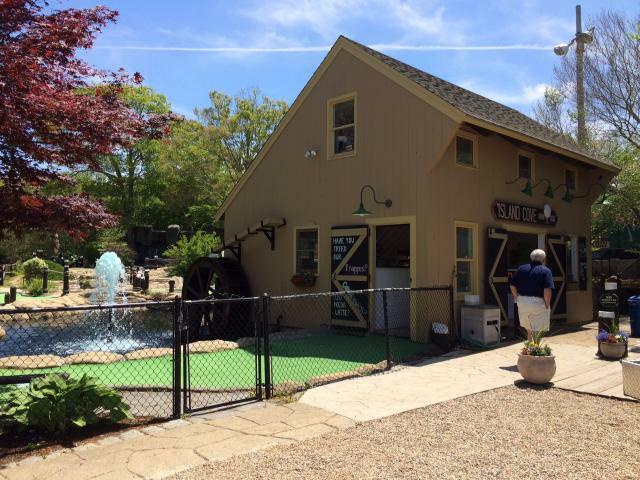 Bob’s Pizza and Cafe has been a fixture on Main Street in Vineyard Haven since 1990. Serving pizza & sandwiches made from the freshest ingredients, Bob’s offers fast, dependable and affordable service as well as filling fare. Fresh, hand-tossed dough and carefully chosen toppings make the specialty pizzas here a must, and the salads, pasta and sandwiches are consistent and filling! Set back from the street and fronted by a patio filled with bright blue picnic tables, Bob’s offers the perfect respite from a day of window shopping and a great perch for people watching. This is a great spot to sit for a bit and recharge your batteries with a snack or a meal. Bob’s is open daily, for breakfast, lunch and dinner. 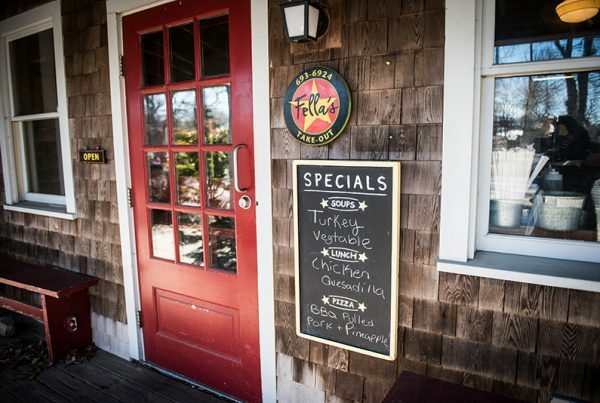 In the heart of Vineyard Haven, serving pizza, subs and Italian specialties. Tables inside and out, and full take-out service available. The Chilmark General Store continues to be a community store for the 21st century, a cross between a community market, pizzeria/deli, and central gathering place for locals and travelers. The landmark porch is a true local hub where friends meet for coffee, and celebrities and local workers alike break for lunch. Children come for snacks afterschool, cyclists stop to refuel on their way to the cliffs, laid back business deals are made over coffee, and travelers stop by to pick up a few necessities and try the famous – delicious! – pizza. 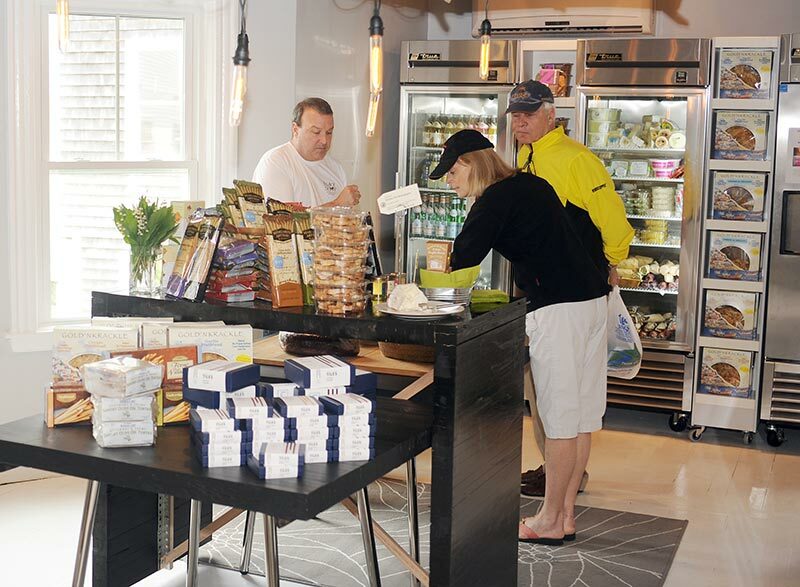 The Chilmark General Store continues to be a community store for the 21st century, a cross between a community market, pizzeria/deli, and central gathering place for locals and travelers. A recently opened take out “food shack” located at the Aquinnah Cliffs. Serving local favorites including fried seafood, fish tacos and chowder. Open daily in-season from 8 am to sunset. Sometimes you just want good fried food with no fuss, and when you’re up-island this place might just be that dream come true! Perched on the cliffs in Aquinnah, the Dreamcatcher Snack Bar offers lunch and snacks daily, in season, with convenient picnic tables near-by. Co-owned for six years by Gordon Perry and Dona Mazza-Perry, Dreamcatcher is popular for its lobster rolls, clam chowder, fish and chips, and coconut shrimp…and incomparable up-island views! While we don’t claim to understand it we know that there are some folks who don’t dream of seafood – the menu here also boasts hamburgers, hotdogs, and grilled chicken breast sandwiches. Great snack bar on the cliffs in Aquinnah. Lobster rolls, fried fish and incredible views. Don’t miss it! John‘s Fish Market is a full service seafood market with fresh, quality seafood that makes cooking a pleasure. Visit Sandy’s Fish and Chips at the other side of the market for great fried seafood, chowder, grilled sandwiches and soft ice cream. Family owned and operated for over 50 years. Behind its quaint storefront along the path to South Beach, the Katama General Store offers an array of items traditionally available in general stores past. Visitors can find groceries, beach accessories and gifts on their way to and from the beach. 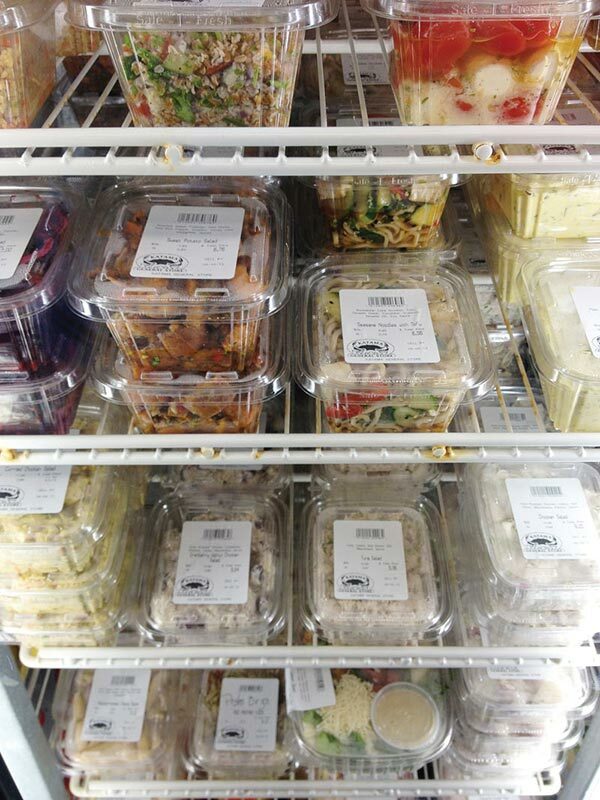 The store’s owners, Doug and Jackie Korell, also offer catering options from their partner business Lobster Tales Catering available for pickup at the store. The catering menu ranges from boxed lunches and appetizer platters, to classic pasta and seafood entrees. The Katama General Store offers an array of items traditionally available in general stores past. This tiny take-out spot at the corner of State Road and Main Street in Vineyard Haven offers an innovative twist on a Mexican favorite. Burritos are made to order from freshly prepared ingredients – you choose! – for lunch or dinner year-round. Open evenings for late dining…call in your order from the last ferry and it’ll be ready for pick-up when you arrive! We love the Untraditional Burrito – a heaping tortilla-less serving in a biodegradable bowl! Our tasty burritos are made to order from freshly prepared ingredients. Since 2004, The Menemsha Fish Market, previously Poole’s Fish Market (established in 1946), has been supplying fresh seafood to both local and international clients. Their friendly staff will be happy to help you. They’ll also let you sample various flavors and types of seafood. 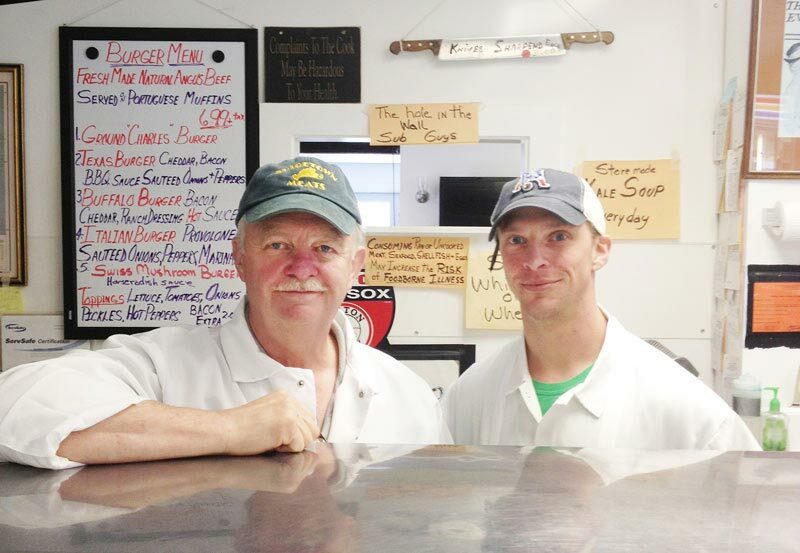 Menemsha Fish Market is dedicated to low competitive prices, fine selections, and 100% satisfaction. Hours of operation are Monday-Sunday, 7am- 9pm. Menemsha Fish Market also offers nationwide shipping, call-in orders and sells clothing (hats, aprons, sweatshirts, t-shirts). The Menemsha Fish Market, previously Poole’s Fish Market (established in 1946), supplies the Island and beyond with fresh and prepared seafood, both local and international. The Quarterdeck serves up fried fish, burgers, hot dogs, ice cream, refreshments, and great fried clams all at their gorgeous location on the dock in Edgartown. Great Place to pick up some food for a waterside picnic, or before getting on the Chappy ferry. At the other end of the counter from John’s Fish Market, the griddle and the fryolator turn out great fish ‘n chips, burgers and sandwiches – with a smile! Fine gourmet cheeses, pate, sandwiches and breads for a perfect Island picnic. There’s also a great selection of wines, crackers, sweets and tasteful house guest gifts. For some of the best, and freshest, fried seafood on the island, The Bite is the go-to spot. Everything is fried to order – clams, oysters, squid, shrimp and scallops. Here the fish and chips is made with local flounder that’s delivered daily and served with shoe string fries or “bite fries” (nice fried chunks of skin-on potatoes). Also available are flounder or chicken sandwiches, fried chicken tenderloin fingers and crispy chicken wings with lots of sweet and sour sauce. While there are a few picnic tables restaurant-side, we can’t think of anything better than enjoying your meal on the beach, in full view of a spectacular Menemsha sunset. It just isn’t Summer until you’ve been to The Bite! For some of the freshest and best fried seafood on the island, take a break from the beach and head to The Bite! A don’t-miss Vineyard experience. We wouldn’t let them leave the Island if we didn’t feel they’d arrive in perfect shape, thanks to careful packing and shipping under rigidly controlled conditions. We pride ourselves on the quality of our merchandise. 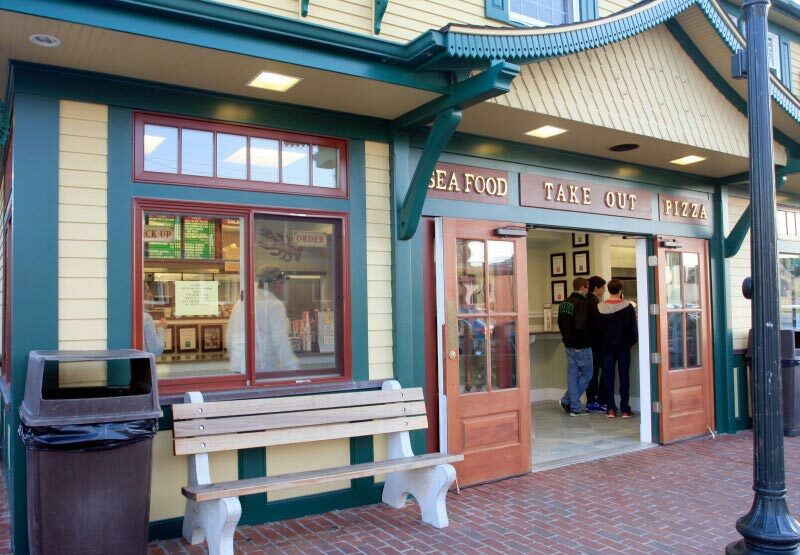 We’ve also done a complete renovation to our harbor front store, adding spacious ordering counters, increased product capacity, large lobster tanks so you can pick your sizes, a delicious fresh sushi service, and a tasty take out counter with an ample outdoor picnic area for you to enjoy lunch. An upperscale fish market on Martha’s Vineyard with take out and sushi. We pride ourselves on the quality of our merchandise. Tony’s Market in Oak Bluffs has a wide selection of groceries, beer, and wine. Morning coffee with freshly baked breakfast items, deli sandwiches, salads, and homemade dinners to take-out are also available. Find daily specials as well, such as Friday’s Brazilian lunch plate. They also have party platters, a dessert case, and much more. Open seven days a week, year-round. Call ahead for to-go orders. 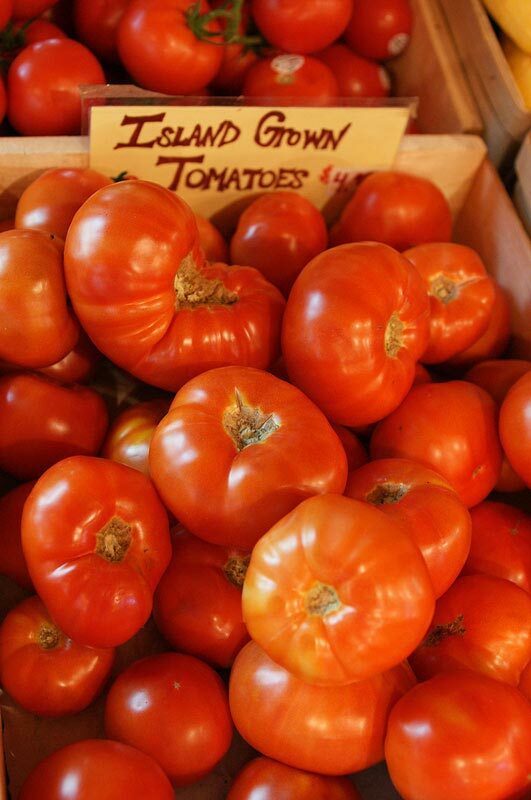 Tony’s Market in Oak Bluffs has a wide selection of groceries, beer and wine. Morning coffee with freshly baked breakfast items, deli sandwiches, salads, and homemade dinners to take-out are available.